* Breakfast: Wednesday to Monday from 9am till 11.30am. Food always fresh and tasty, well presented always enjoyable, staff pleasant and friendly. will be back soon. One of my favourite restaurants in Guernsey - thank you for another superb meal! I have never had bad food at Octopus, but it is nearly always slow at the start of the meal to get a drink. Once you have your food order, service is good. However, once your main courses have been cleared it is often hard to get the waiters/waitresses attention again for desserts/coffee or further drinks. So I'd go back but just make sure you are not pushed for time. Amazing! Such good food, atmosphere, service and setting. Our favourite restaurant! I'll vote with my feet......never again! The food was amazing as always. The staff were very polite and wonderfully kind to both of my young children. A hugely enjoyable experience from start to finish! Great meal and very friendly and efficient service. Love the place and the Service providers were very nice, however after being seated for approx 20 mins we had to stop someone to ask if we could order drinks. would ordinarily prefer to be seated and asked straight away if we want a drink. apart from that food etc was as excellent as ever. 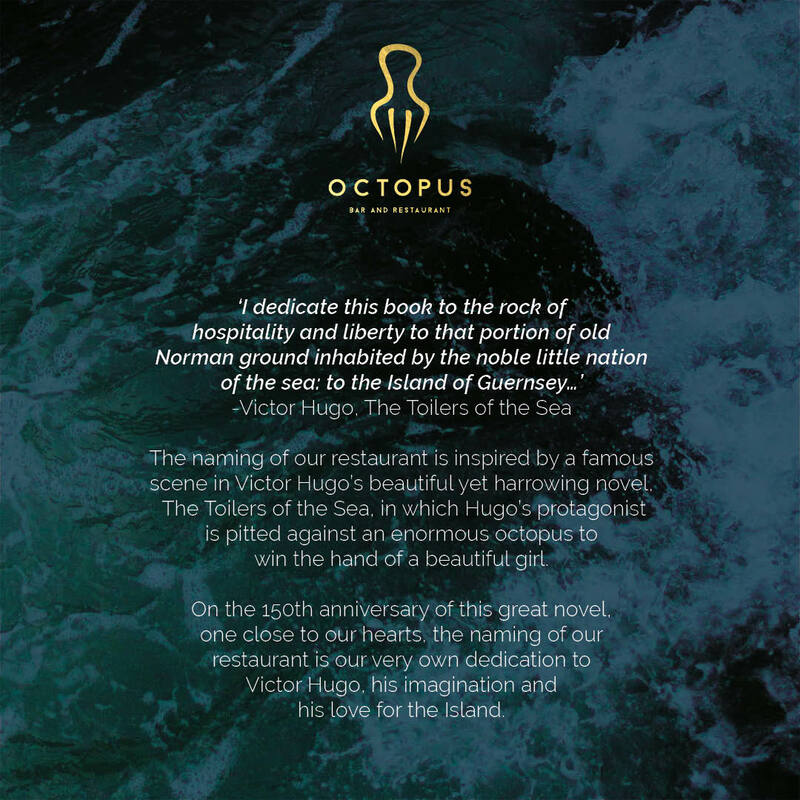 A great location with a different twist on food compared with other seafood restaurants in Guernsey. Large portions - great quality. Would definitely recommend. The only thing we've noticed on our last few trips and heard from others is that the service could be a bit quicker. Amazing birthday lunch. The staff were brilliant and the food is 10/10. We stayed way longer than we should have done and it was not a problem for the restaurant. It is always a treat and I will continue to visit. Thanks! Sadly let down by the slowness of service. We waited 1 hour and 45 minutes for our main course which is just too long. Such a shame as lovely place andgoid food but they really need to sort out their service.